Rick Perry’s phony economic miracle. Is Texas Governor Rick Perry some sort of economic genius? That’s the line from many conservatives, particularly after the Federal Reserve Bank of Dallas recently found that more than one-third of all new jobs created in the United States since June 2009 have been located in the Lone Star State. In a chat that dazzled The Wall Street Journal’s editorial board, Dallas Fed President Richard Fisher chalked Texas’s success up to its conservative policies (no income tax, lax regulations, tort reform), especially when compared with that deep-blue basket case, California. Perry himself hasn’t been shy about taking credit: “In Texas, you don’t have to use your imagination, saying, ‘What’ll happen if we apply this or that conservative principle?’” he remarked at a recent Manhattan fund-raiser. “You just need to look around, because they’ve been in play across our state for years, generating real results.” It’s one reason why so many Republicans are urging Perry to run for president. Here, at last, is the man they’ve been waiting for. But, before anyone goes too gaga, it’s worth taking a closer look at the Texas miracle. Texas, economists note, has long been a low-tax, loose-regulation state, but it hasn’t always thrived—between 2008 and 2010, after the U.S. economy collapsed, the state’s unemployment rose faster than in high-tax Massachusetts. In May, Texas’s unemployment rate, at 8 percent, ranked twenty-fourth in the country, slightly worse than liberal New York’s. What’s more, not all of those vaunted jobs are great jobs: Texas has the highest percentage of minimum-wage workers in the country, and its per-capita income still sits below California’s. Then there’s the uglier side of Perry’s rule. The state is looking at a staggering $27 billion deficit for 2012-2013. Perry managed to paper over Texas’s last budget shortfall by taking $6.4 billion in Obama stimulus money, more than all but two governors. (At the same time, he was suggesting Texas should secede from the union.) Now, without Democrats in Congress to bail him out, Perry and other Republicans in Austin are proposing big cuts to Medicaid and education—this in a state where 26 percent of people are uninsured, the highest percentage in the United States. 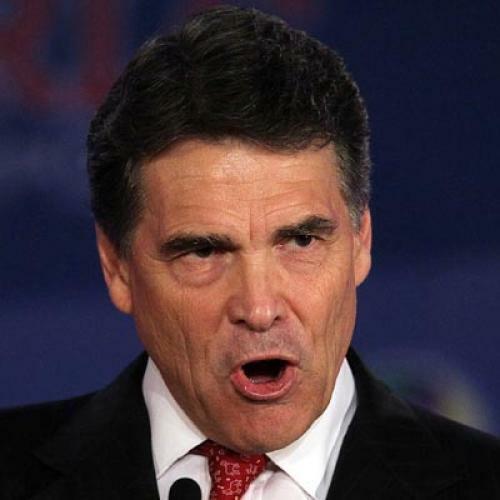 Ironically, Perry could end up undermining the very things that make Texas great. The last time the state faced a steep recession, after oil prices had collapsed in the late ’80s, the legislature also confronted a massive budget shortfall. But Republican Governor Bill Clements raised taxes and invested in public schools, which at the time were competing with Alabama’s and Mississippi’s for worst in the country. The investment paid off—and laid the foundation for 25 years of growth. Perry’s still reaping those benefits, though if he slashes the budget, he may be the last Texas governor to do so for a long time to come. Bradford Plumer is an associate editor at The New Republic. This article originally ran in the July 14, 2011, issue of the magazine.